As I write this, I am home. Home by the fire. Home, sitting with my “cuppa char.” Are you familiar with that term? While tea’s history stretches all the way back to China, circa 2700BC, the word char/cha – as in “a cup of char” (reducible to “a cuppa”) – is working-class, 19th-century colloquial British English, derived from Hindustani char, likely introduced by British Indian ser­vice­men. Similarly, chai is dated to circa 1919 military slang. The custom of drinking tea was popularised in England during the 1660s by King Charles II and his wife the Portuguese Infanta Catherine de Braganza, but it was not until the mid 19th century that the concept of 'afternoon tea' first appeared. The last two shows were in Moncton & Halifax, completing a triumvirate of east coast dates. Moncton is the largest city in the Canadian Province of New Brunswick. Situated in the Petitcodiac River Valley, Moncton lies at the geographic centre of the Maritime Provinces. The city has earned the nickname "Hub City" due to its central inland location in the region and its history as a railway and land transportation hub for the Maritimes. The Rebecca Cohn Auditorium is part of the Dalhousie (University) Arts Centre complex, and the major concert hall in Halifax. The auditorium opened officially 19 Nov 1971 and it is simply wonderful. Let’s just say if it’s good enough for Pavarotti, it’s good enough for Frew. What a beautiful theatre. 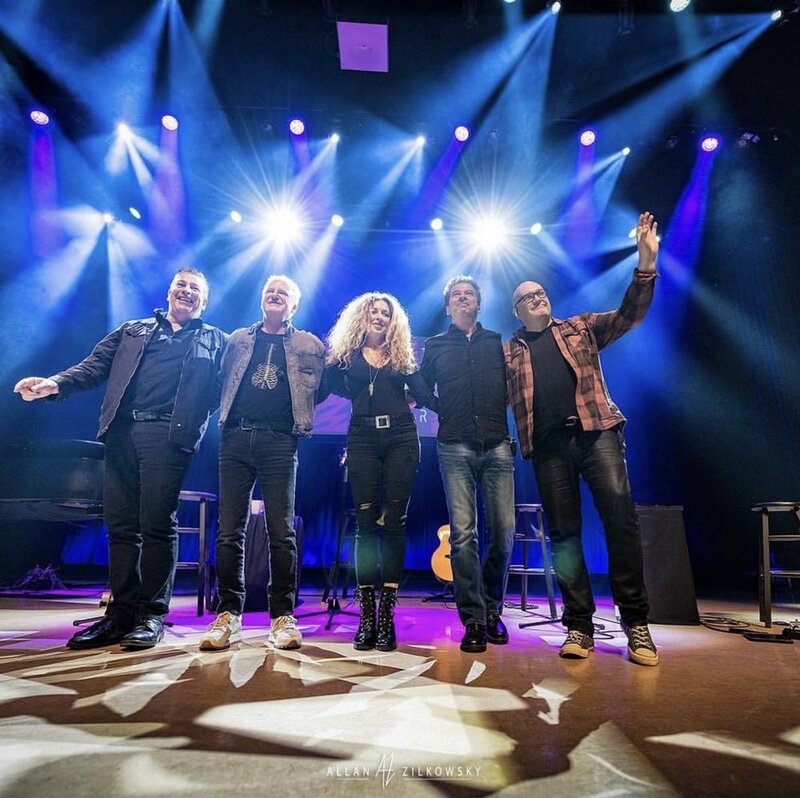 Thank you Moncton, thank you Halifax, as audiences go, you are right up there with the best of them. As people go, ditto. Warm, friendly, funny, and welcoming. The east coast is the closest thing that a ‘Celt’ has to the “Old Country” and we so enjoy coming out to see you and perform for you. @AlanFrew so enjoyed your show tonight in #halifax first night away from my newborn. You always make it worth it.~ Lisa. @AlanFrew was incredible tonight and had the whole crowd laughing with his jokes!~ The Daily Musician. I admit I was skeptical about seeing Glass Tiger acoustically and I admit that my wife had to drag (me just a little bit) But WOW! What a show. Saw u guys in ‘89 you are better than ever! Thanks -David Frazer. Thank you guys! There are just too many comments to post, but suffice to say we ALL had a blast together and I cannot wait to do it all again. And so that’s it for performing for 2018. That’s a wrap. It began with my, Dear Canada Blog #1 - Feb 24, 2018, at the beginning of a 45 date run with my good pal, Johnny Reid and ended with this blog, and with Halifax on November 27th. I haven’t been this busy in years, lol. And next year is shaping up to be just as busy. There are lots of good things on the horizon and I will be very busy these next couple of “non-performing” months. My involvement in a really cool production script continues and it is Glass Tiger’s full intention to bring you a brand new album of original material in 2019. Sam is coming to my studio early next week that we may begin wading through tracks we already have in order to discover if any of them fit the sound we are looking for. I alone, must have about 50 or so, as of yet, unheard songs and surely one or two of them will get us started. Yup, it’s been that long.....actually, even longer! As we head into this holiday season, those of you who celebrate in a formal, traditional, religious way, I wish you a happy and peaceful holiday season. Those of you, like me, who see it as just a nice calm time to be with friends and family? Well, same goes for you. Chill, put your feet up, enjoy your time off with a bit of rest and relaxation (says the guy who will work up until about December 22nd!! Lol) But I truly wish you all a safe, loving, happy, holiday season. And to my fellow atheists ....Happy..........any day!! Mainly though, let’s think of those less fortunate. Those in greater need than ourselves, and if able, give of yourself somehow. Advocate. 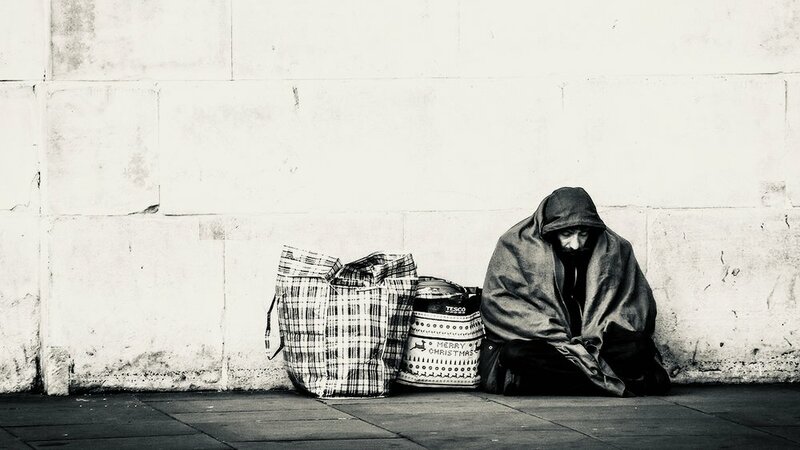 Contact your local representatives and push for new legislation to help the homeless. No matter how small or fleeting it may seem to you, a little kindness goes a long, looooonng, way. Whether your able to donate money for presents, or give away warm blankets, or just feed someone a turkey sandwich, it ALL pays forward. This most likely will not be my last blog of the year. I will probably squeeze one last blog in. And so until that time dear readers....Goodnight.